and business people facing federal bribery charges. A large variety of acts by elected and appointed government officials and government employees may be prosecuted as public corruption, but typically acts of public corruption involve bribery, abuses of power, or misappropriation of funds. Public corruption may occur in any branch and at all levels of government, from local police departments and city commissions to the U.S. Congress and federal executive agencies. The purpose of public corruption laws is to ensure that government is run fairly and that taxpayer funds are not wasted. Unfortunately, many federal statutes used to prosecute public corruption are extremely ambiguous, which has led on numerous occasion to prosecutions (and convictions) for acts that were not clearly criminal. A number of federal statutes govern bribery of public officials and acceptance of bribes by public officials. The federal bribery statute prohibits corruptly giving, offering, or promising anything of value to a federal public official or appointee with the intent of influencing him or her to perform an official act or to commit fraud. The statute also prohibits the act of receiving those same types of bribes by public officials and appointees. Similarly, the bribery statute also forbids the payment and receipt of “illegal gratuities,” payments or gift given because of some official act, but without the “quid pro quo” of an actual bribe. While conviction for giving or receiving an illegal gratuity can lead to a 2-year prison sentence, a bribery conviction can result in up to 15 years imprisonment and potentially enormous fines. Other tools are preferred by prosecutors for prosecuting state and local officials. These include the federal Mail and Wire Fraud statutes, the Hobbs Act, and the RICO Act. Although these laws were never intended by Congress to be used in this manner, the courts have consistently allowed federal prosecutors to use them at their discretion to prosecute “crimes” committed by state and local officials. A perverse result of this unintended use of these laws, federal prosecutors can choose to indict officials on charges that have lower burdens of proof for prosecutors to meet and that provide far higher penalties than the actual bribery statute. Additionally, these broader, more ambiguous offenses often permit the government to seize a defendant’s assets prior to trial, which often deprives him of the ability to hire an attorney. The Hobbs Act and RICO Act prohibit racketeering, an ambiguous term generally referring to organized crime. Now, however, it has come to encompass a wide variety of acts not traditionally considered organized crime—including bribery of public officials—due to the creativity of federal prosecutors. In a racketeering case, prosecutors must show a pattern of certain predicate acts such as bribery, extortion, fraud, murder, drug trafficking, or embezzlement. So, where a public official has accepted more than one bribe and the purpose of the bribes are somehow related, he may then be prosecuted as a racketeer. Conviction under the RICO Act (with predicate acts of bribery) carries a potential 20-year sentence, criminal fines of up to $250,000 or twice the amount of any illegal profits, civil forfeitures of real estate and personal property, and liability for civil damages of triple the amount of losses caused to others. An experienced attorney can successfully challenge federal bribery charges in a number of ways. Most fundamentally, he will hold the prosecution to its burden of proving every element of the crime charged. Often a prosecution will fail where an “intent to influence” cannot be proved, or where there is no clear indication of the “quid pro quo” exchange required for a bribery conviction. Other times, a defense may be raised on the grounds that a defendant is not truly a “public official” as defined by law, in which case a public corruption charge will fail. In recent years, our federal criminal defense firm has successfully represented mayors, legislators, police officers, and other state and local government officials facing a wide array of charges. We have defended public officials charged with racketeering, money laundering, bribery, fraud, embezzlement, and other offenses. If you are facing charges of government corruption and related crimes, our firm may be able to help. The information provided above is a very general summary of federal public corruption law at the time this text was prepared. Because this analysis is subject to change depending upon recent cases and legal developments, you should not rely on this summary as legal advice. 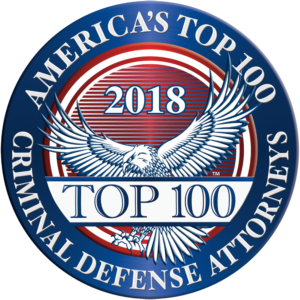 As with any important legal question, you should always consult a lawyer experienced in federal criminal defense and licensed to practice in your jurisdiction. Our lawyers are licensed to practice in all federal and state courts in Georgia and may practice in other federal courts by special permission.